We're pleased to announce the introduction of our artificial grass / fake lawn measure supply and fit service. 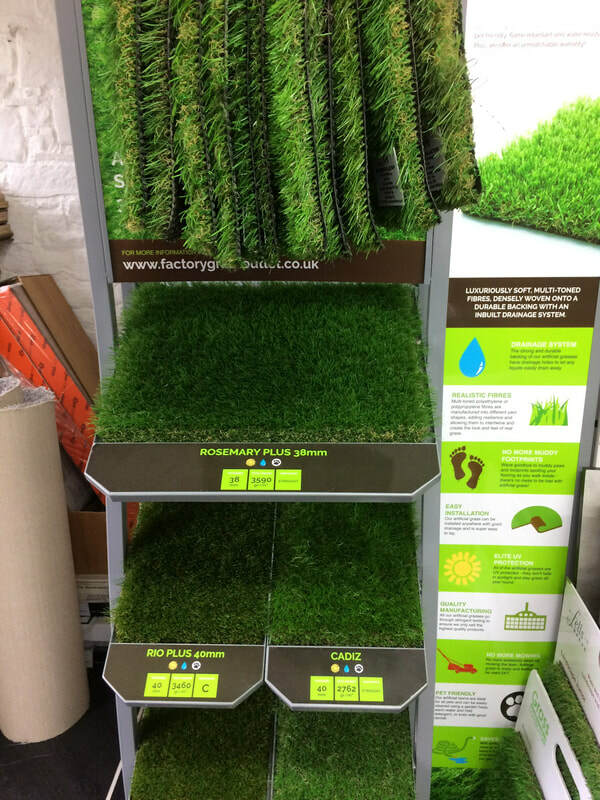 We're open for enquiries on our superb new range of grass products. take a look at our range at our Rossendale showroom. Get a free measure, quite and plenty of top advice on maintenance free gardens. See our Artificial Grass Service Page here now! Don't we look posh? This is the new look shop front for Lancashire's leading supplier of carpets and floor coverings. Our new branding beats the competition hands down and is suggestive of the rising success of our fabulous range and service. The Lancashire Carpet new shop front was fitted in 2018 and has had a great response from our customers. Now the carpet place next to Asda in Rawtenstall is firmly on the map. Truth is we've been here many years but our new look branding and bigger showroom shows how far we've come since our humble beginnings in Haslingden. Anyway this is also the first post of our new blog so feel free to give feedback make a comment or suggestion. We respond to all enquiries.... so post away. Please do pop in and pay us a visit to our new look carpet and vinyl floor covering showroom in Rawtenstall centre. Tony and the team hope to see you soon! 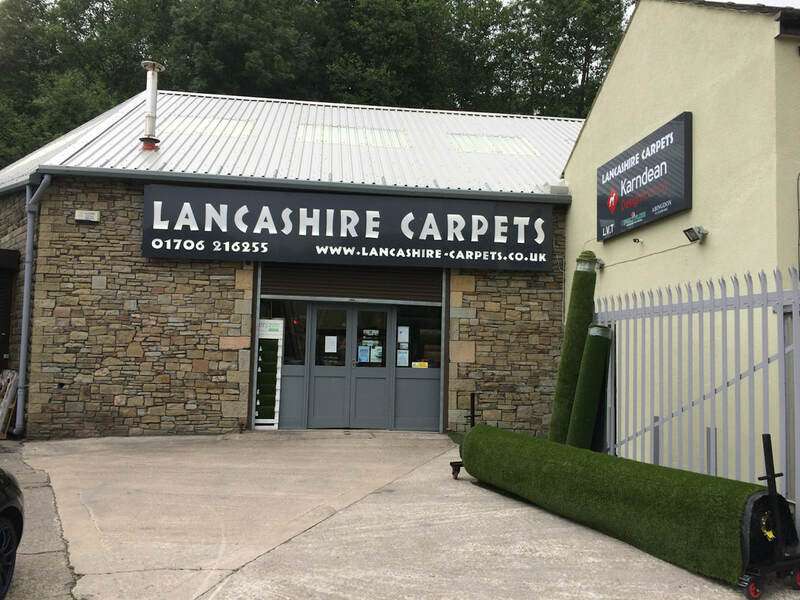 news and updates from Lancashire's most popular carpet and floor covering outlet Lancashire Carpets.